Phoebe is a place to enjoy your WINTER RECESS. YOU get to ski down layers of ice, get to ski down crater as huge as houses, and wear night vision goggles. The fun part it's only 8 million miles away from Earth. 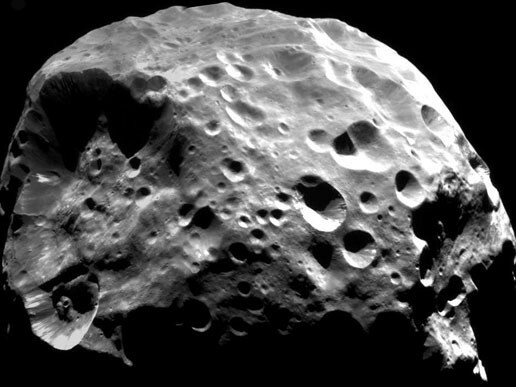 Phoebe's diameter is about 213 kilometers which equals about one-sixteenth of the earth's moon diameter. 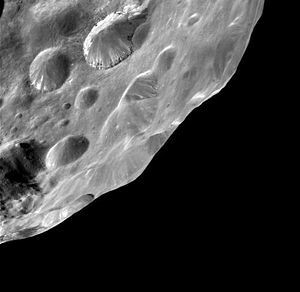 You have the chance to view Phoebe rotate in a 9 hour rotation on it's axis. Orbits around Saturn from 8,049,668 miles away. IT'S SATURN'S MOST INNER MOONS AND THE ONLY ONE THAT IT DARK WITH NO BRIGHTNESS ON IT.